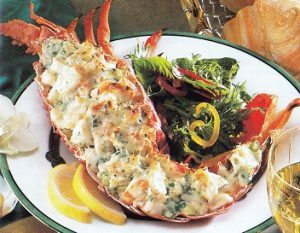 January 24th – It’s Lobster Thermidor Day! And what better way to celebrate than at a top fine dining restaurant in Torrevieja? 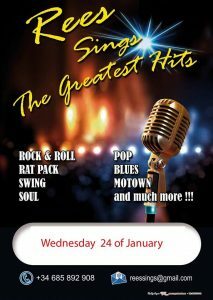 Oh boy, do we have a special day coming up on Wednesday 24th January. Not only do we have an evening of fine dining and magical music for our guests here at Christopher’s Restaurant, but it’s also National Lobster Thermidor Day in the United States! So, I thought, to mark the occasion, I’d let you in on a few ‘Thermidor facts’ you may not know. Where does the ‘Thermidor’ come from? Now, in the best Michael Caine tradition – “Not a lot of people know this” – the name Thermidor comes from the French Republican Calendar. It was the eleventh month, the second in the summer quarter, and the name is derived from the Greek word ‘thermos’, meaning hot. The month started on July 19th, and ended 30 days later in mid-August. Why is Lobster Thermidor called Lobster Thermidor? First, it was created for Napoléon, the hero of the French Revolution and founder of the French Republic, to be eaten at a celebratory dinner in the month of Thermidor. The second theory is that it was first prepared at the Café de Paris to celebrate the opening night of a play called Thermidor. Thermidor was a name of a robot on ‘Robot Wars’. So was Thermidor 2. There have been two films called Thermidor: one Italian and made in 1964, and one French and made in 2009. In The Lego Batman Movie, Lego Batman microwaves a Lobster Thermidor – not recommended! The natural colour of most lobsters is a green/brown. They turn the pink colour that diners love when they are cooked. Lobsters can also be an almost electric blue colour, though it’s estimated that only 1 in 2 million are blue. The bright blue colour is caused by a genetic abnormality that causes the lobster to produce more of a certain protein than others. A Canadian lobster fisherman caught a blue lobster in the month of Thermidor last year. The rarest lobster is thought to be the albino, or crystal, lobster. One of these was caught in 2011 off the Dorset coast. The chances of doing so? It’s reckoned to be 1 in 100 million. So, how do you prepare Lobster Thermidor? If you aren’t used to handling live lobsters, keep the bands on – you don’t want your fingers chopped off! To boil your lobster, fill a large pot 2/3 with water. Add salt. Bring to a boil, and add the lobster. Bring back to the boil. Boil a 1 ½ lb lobster for between 7 and 9 minutes. Whatever you do, don’t overcook – you’ll end up with tough, chewy lobster meat. You can also steam or poach lobsters, as well as grill or barbecue. Now, for the Thermidor bit! Cut the lobster in half lengthways, and remove the meat from the claws and tail. Leave to one side. Remove any meat from the head, and set aside. Cut the meat up into pieces, and place back into the shell. Place the lobster halves on a baking sheet, and spoon the sauce over the lobster meat in the shell. Sprinkle Parmesan cheese over the top. Grill for 3 to 4 minutes, just until golden brown. Serve immediately. Of course, if you don’t fancy all this work, you should come and enjoy a lobster on 24th January, along with ‘An Evening with Rees’. And, of course, you don’t have to eat lobster – we have a menu selection to suit all tastes. To avoid missing out, call us on (+34) 600 01 28 24 to book your table and enjoy an evening to remember at one of Torrevieja’s top 10 restaurants (as rated by diners on www.tripadvisor.com).